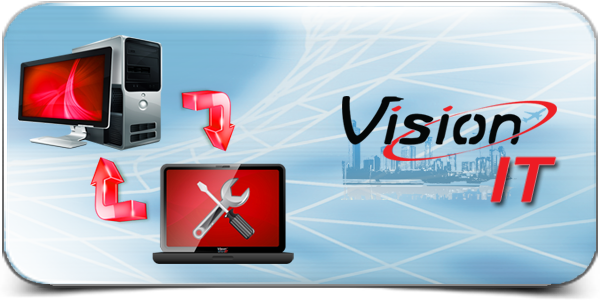 Vision IT provides system administration to PC repair and everything in between to assist all forms of local governement. Basic phone support that will allow direct access to our IT service specialists. · Broken component such as video, keyboard or mouse, hard drives, fans etc. Vision IT understands the need for immediate support for your office IT needs, but we also know that the expense of a full time IT staff can be cost prohibitive and unnecessary on a full time basis. That's why we offer several Information Service Solutions designed to fit the unique needs of your organization. 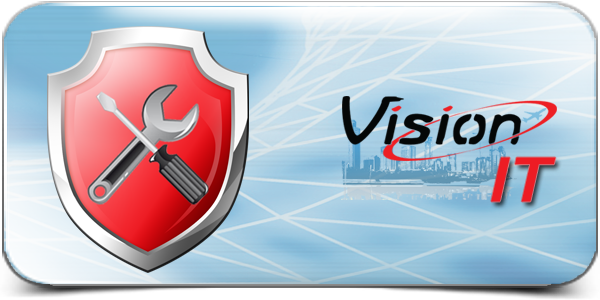 Not sure which services become necessary, let Vision IT help you with putting together a strategy for taking care of your equipment needs. We understand that each and every organization may need different services which allow us to customize a specific package for you. Many times we are asked to provide more services with less funding and our answer is to take advantage of current technologies to accomplish this. Our team will help you create and implement a plan for all systems in your office, showing you the most effective upgrades available for the hardware and software you use and ensuring that you have a reliable infrastructure. We understand your computing needs and work directly with the software and hardware vendors that are specific to the demands of governmental agencies. We understand the goals and the specific needs of local government agencies; from Electronic Public Records to Disclosures. · We understand the complexities of your software requirements, thus we can recommend and implement the most optimum solutions. · Standardize the desktops keeping the learning curves to minimums and productivity maximized. We specialize in identical system setup between offices along with replicating the desktop environments of pre-existing equipment. We will have your new and existing infrastructure ready to go quickly, limiting your employee's loss of productivity. Vision IT deals with these unwarranted attacks on a daily basis, thus developing techniques to best deal with these unwanted disruptions. 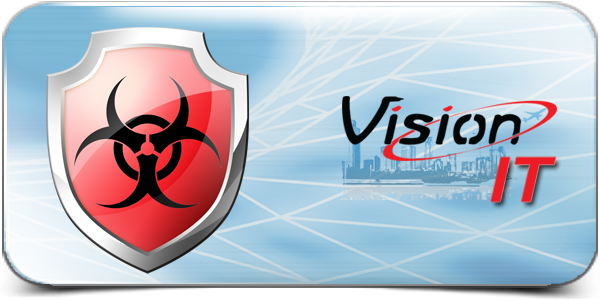 Our team will attempt to remove the triggers and restore your system to its pre-virus condition. However our best business approach is to provide services that prevent attacks, from hardware to software solutions. 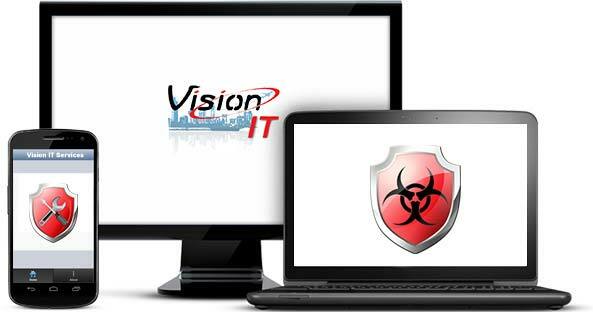 Vision IT can help prevent most viruses and attacks from ever getting to your systems. Do you have questions about our IT Services?